Doctors and patients alike have noticed that eyelash growth is a side effect of a glaucoma drug called Lumigan, sold by California drug maker Allergan Inc. That phenomenon has set off a race among cosmetics companies to create new eyelash treatments that contain either bimatoprost â€“ the active ingredient in Lumigan â€“ or other so-called prostaglandins found in glaucoma drugs. Allergan itself, which sells the antiwrinkle drug BOTOXÂ® and is making a major push into aesthetic medicine, is believed to be testing Lumigan for lash enhancement. That strategy would echo Allergan’s development of BOTOXÂ® for cosmetic use many years after it was launched to treat eyelid spasms and other neuromuscular problems. Earlier this month, Allergan filed a patent-infringement suit against several eyelash companies that it says use a prostaglandin in their products. However, if a company promotes its product to change the structure or function of the body â€“ rather than just its appearance â€“ then it is classified as a drug and must prove its safety and efficacy in human tests. The FDA’s Web site says that a product may be considered a drug if its ingredients have a well-known therapeutic use. FDA officials have so far declined to say how its rules apply to cosmetic eyelash products that contain ingredients found in glaucoma drugs. 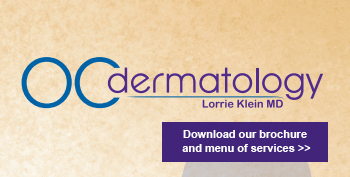 Call Dr. Klein for additional product & purchase information. Call (949) 363-1788 to schedule a consultation today!